In recognition of their support, Jorge and Darlene Pérez’s last name graces a beautiful art museum in downtown Miami. But did you know that their largesse extends, in a big way, to FIU? Recently, the couple donated $1 million to FIU’s Honors College. 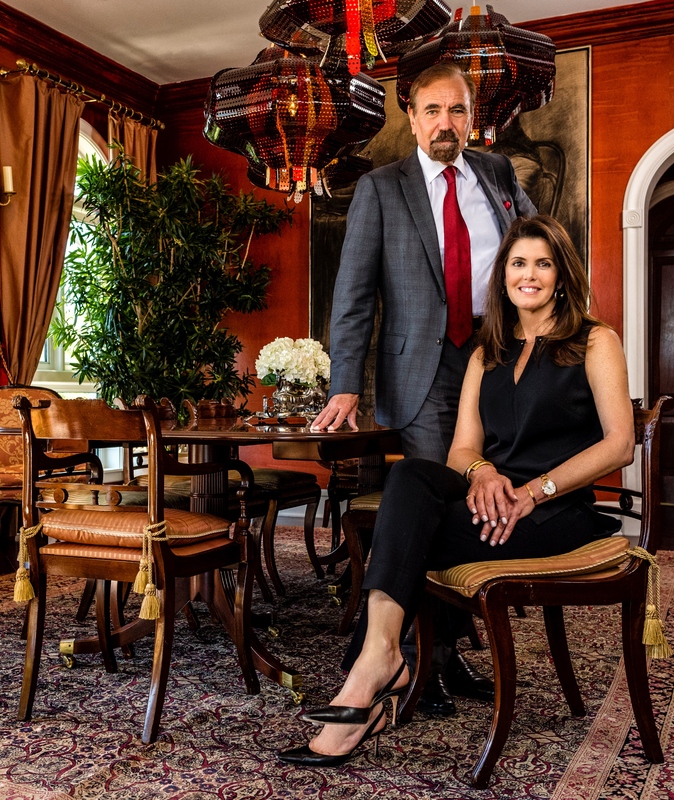 The largest gift in the college’s history, it created the Jorge and Darlene Pérez Scholars Endowment, which will support scholarships for high-achieving students in the college, particularly those intending to live and work in the South Florida community upon graduation. The Honors College attracts students who are not only high achievers, but also leaders in their respective high schools. Although they are specializing in specific fields across the university, the college brings them together to work and learn in a unique way. For example, a professor will design a class that sees biology and engineering majors rubbing elbows with sociology and English majors. These collaborative environments encourage students to learn how to work with those whose perspectives and expertise differ from their own. Through innovative surroundings like this, the college is educating its high-achieving students to be tomorrow’s leaders, ready to step out of their comfort zone in ways that the 21st century innovation economy demands. The Pérezes know the value of this kind of leadership. He is a billionaire who amassed his fortune as a real estate developer. An FIU alumna, she heeded the call of nursing and has devoted a career to caring for others and, now, as an adjunct clinical preceptor for the nurse practitioner graduate program at FIU, to mentoring and teaching those who would follow in her footsteps. powerful at FIU. In 2006, the couple made a significant donation to the Nicole Wertheim College of Nursing & Health Sciences, an institution founded on meeting the needs of underserved populations. The gift supported the college’s general endowment, and named the Jorge M. and Darlene M. Pérez Nursing Laboratory. Boytell-Pérez earned both her undergraduate and MSN degrees there, and she continues to be an active member of the Dean’s Leadership Council. This gift continues to offer support for the thousands of FIU nursing alumni providing healthcare for the South Florida community. With this new endowment for the Honors College, the Pérezes will do the same for a diverse group of future professionals who will tackle the problems of tomorrow. With support from donors like the Pérezes and innovative teaching methods from its colleges, FIU will undoubtedly continue to produce future professionals who will change South Florida – maybe even its skyline – in their own unique ways in the years to come.